Caregiver: A person who has special training to help people with mental health problems. Examples include social workers, teachers, psychologists, psychiatrists, and mentors. Case management: A service that helps people arrange for appropriate services and supports. A case manager coordinates mental health, social work, educational, health, vocational, transportation, advocacy, respite care, and recreational services, as needed. The case manager makes sure that the changing needs of the individual served are met. Continuum of care: A term that implies a progression of services that a individual moves through, usually one service at a time. More recently, it has come to mean comprehensive services. Also see system of care and wraparound services. Crisis intervention training (CIT): a specialized law enforcement unit comprised of officers who have received training in how to interact with individuals experiencing a psychiatric crisis. Cultural competence: Help that is sensitive and responsive to cultural differences. Caregivers are aware of the impact of culture and possess skills to help provide services that respond appropriately to a person’s unique cultural differences, including race and ethnicity, national origin, religion, age, gender, sexual orientation, or physical disability. They also adapt their skills to fit a family’s values and customs. 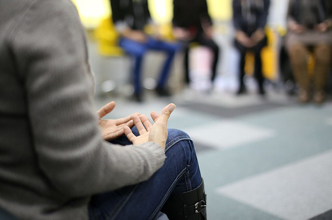 Day treatment: Day treatment includes special education, counseling, vocational training, skill building, crisis intervention, and recreational therapy. It lasts at least 4 hours a day. Day treatment programs work in conjunction with mental health, recreation, and education organizations and may even be provided by them. Early intervention: A process used to recognize warning signs for mental health problems and to take early action against factors that put individuals at risk. Early intervention may help individuals get better in less time and can prevent problems from becoming worse. Individualized services: Services designed to meet the unique needs of each individual and family. Services are individualized when the caregivers pay attention to the needs and strengths, ages, and stages of development of the individual and family members. Plan of Care: A treatment plan especially designed for each individual and family, based on the individual’s strengths and needs. The caregiver(s) develop(s) the plan with input from the individual being served. The plan establishes goals and details appropriate treatment and services to meet the special needs of the individual. Recovery: Recovery is the personal process that people with mental health conditions experience in gaining control, meaning and purpose in their lives. Residential treatment centers: Facilities that provide treatment 24 hours a day. Individuals with serious mental illness may receive constant supervision and care. Treatment may include individual, group, and family therapy; behavior therapy; special education; recreation therapy; and medical services. Residential treatment is usually more long-term than inpatient hospitalization. Centers are also known as therapeutic group homes. System of Care: A spectrum of effective, community-based services and supports for individuals with or at risk for mental health or other challenges and their families, that is organized into a coordinated network, builds meaningful partnerships with families and individuals while addressing their cultural and linguistic needs, in order to help them to function better at home, in school, in the community, and throughout life.